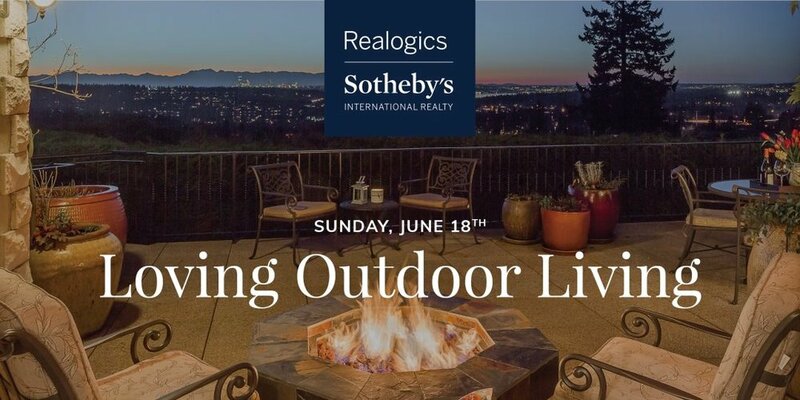 Visit Sunday June 18th from 1 to 4pm and explore our curated collection of homes featuring beautiful outdoor living spaces. These homes bring the indoor outside in amazing way with patios, outdoor bars, firepits & gorgeous landscaped terraces. From Issaquah to Bainbridge Island, these homes are wonderful examples of our NW Living. A classic 2 story colonial, the epitome of timeless elegance is enveloped by 1.5 ac of exquisite specimen plantings & cascading green lawns. Enjoy a unique outdoor experience; full size sport court, salmon stream, fire pit & play spaces. Modern city living at its finest as contemporary style and luxurious details meet a well-manicured lawn with walking paths and three decks enveloped in greenery with city views. This is a unique combination of all that we love! The art of exceptional living resides in this George Suyama design featuring private gardens, terraces and a water feature. These unique amenities offer the perfect setting for unparalleled entertaining or private retreat living. A free-spirited architectural treetop home with shimmering views of the Puget Sound, multiple entertainment decks and total privacy surrounded by acres of community space. Bainbridge Island offers a treasured outdoor lifestyle. Magic begins in a private, gated community sited on 2.26 acres of spectacular Olmstead Brothers gardens overlooking Puget Sound and Olympic Mountain views. Rarely does such a gorgeous property frame such superb architecture. The classic symmetry of a Georgian Colonial never goes out of style in this entertainer’s dream with 7 sets of French doors opening from the home to the private, sunny and beautifully manicured garden complete with a fountain, built-in barbecue and outdoor fireplace. Splendid style & inspirational interiors in the heart of Mercer Island's Gold Coast. A lakeside level complete with summer house & covered outdoor area with a bar & plenty of room to grill. This outside transitions perfectly to inside!